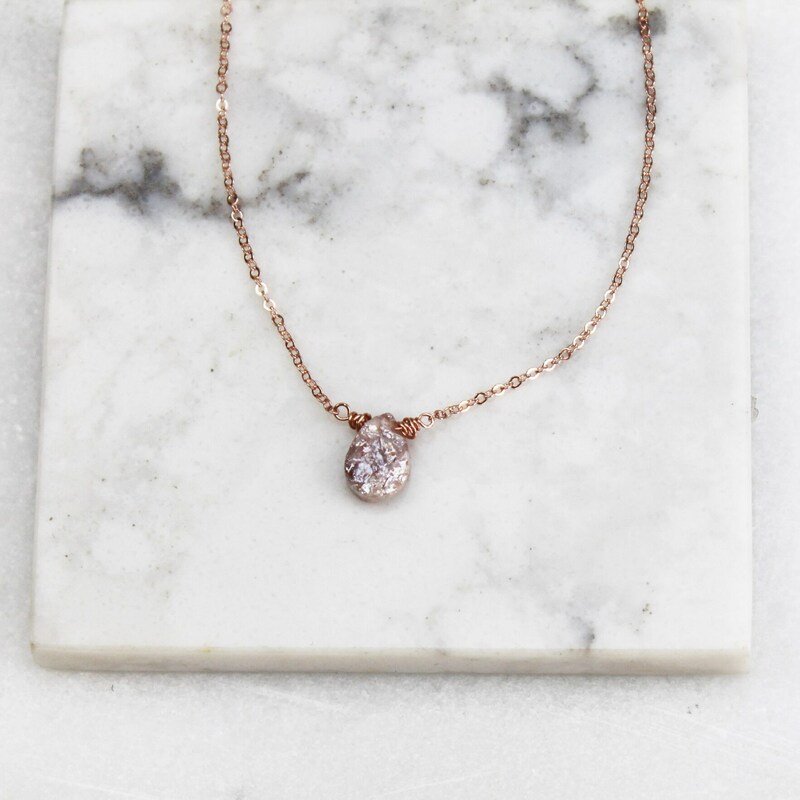 Add a touch of sparkle with our dainty gemstone necklace. 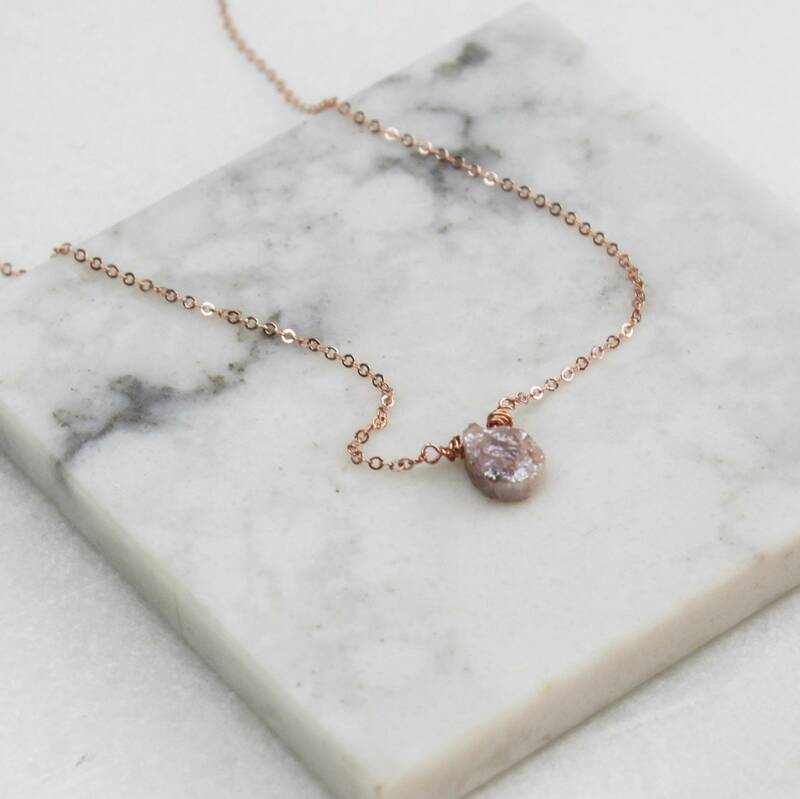 Hand wrapped moonstone on a 14kt gold filled necklace this necklace is simple yet chic. 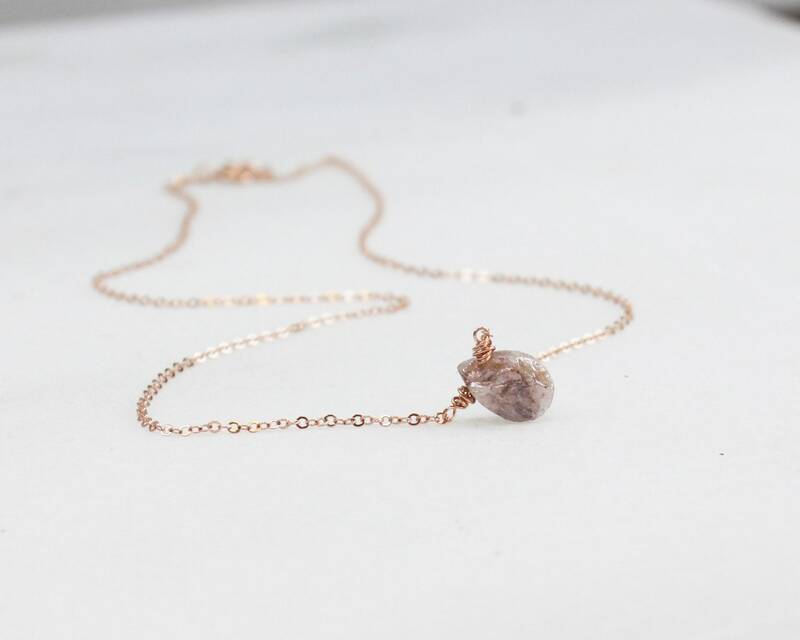 These are natural stones that are perfectly imperfect. 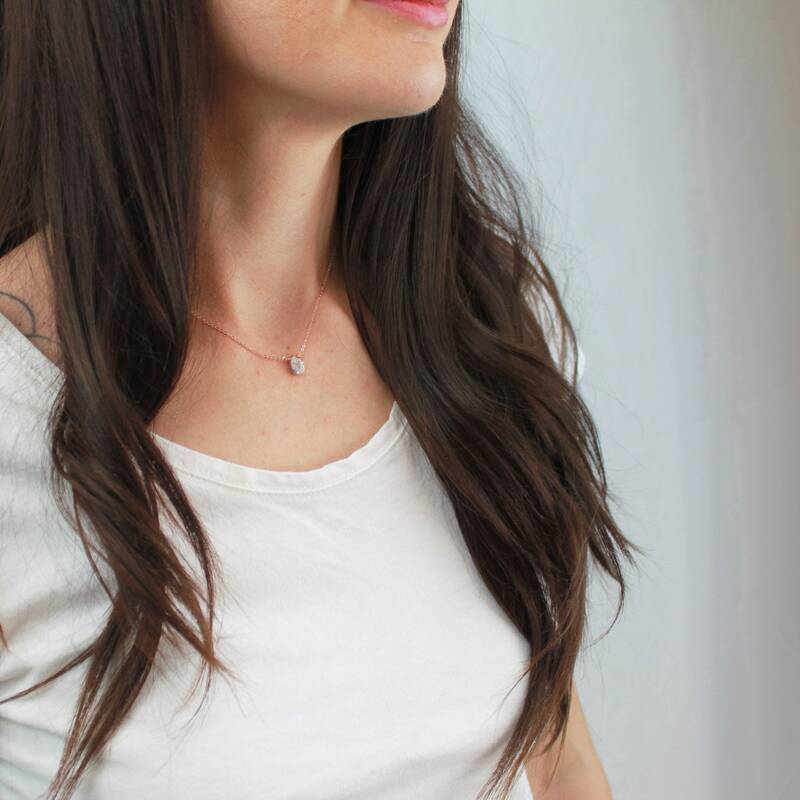 -High quality 14kt gold filled, sterling silver, or rose gold filled delicate link necklace -spring ring closure. So delicate and beautifully made! 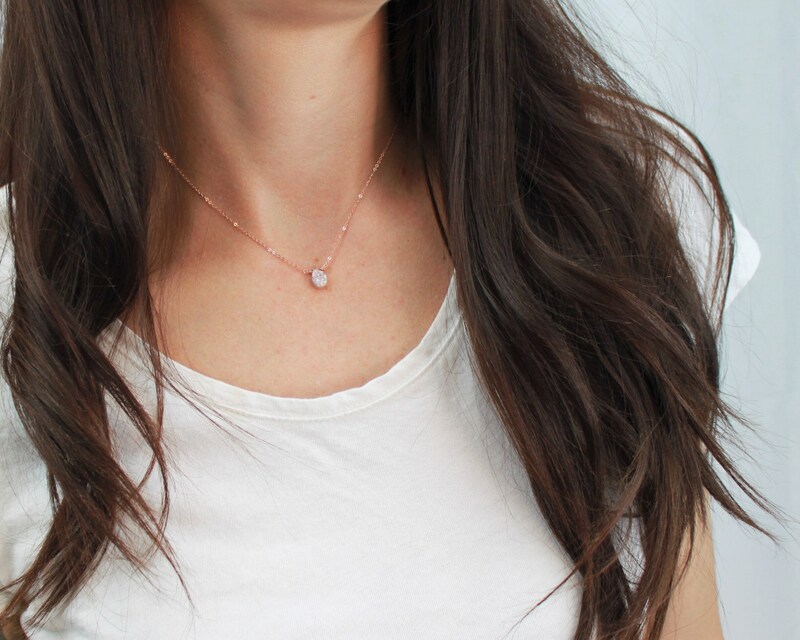 Great quality - very simple and pretty. Takes a little bit to ship but that’s because it’s hand made.